Things are picking up as the Overwatch League continues with its second week, Hearthstone’s World Championship wraps up in Amsterdam, and League of Legends returns for the spring season. The Shanghai Dragons and Dallas Fuel are the only two teams remaining in OWL without a victory to their name, while the latter has already been forced to suspend one of its players for homophobic trash talk. Meanwhile the top three teams, led by Seoul Dynasty, all remain undefeated. There’s also plenty of action developing in the weeks long build up to the ELEAGUE Boston Major grand finals as underdogs Vega Squadron and Quantum Bellator Fire come out swinging in the New Legends round of play. The $1,000,000 tournament is almost over after the quarterfinals wrapped up earlier today. Semifinals for the four out of 16 remaining pros get underway on Sunday at 10:00AM EST. JasonZhou will face Fr0Zen then followed by Tom60229 vs. Surrender. The winners of those will then go on to face one another for the grand finals. You can stream the last few games live in the stream below. ELEAGUE’s Boston Major continues this weekend with matches that started earlier today when Quantum Bellator Fire edged out Gambit Esports. Then Cloud9 took on Space Soldiers around noon with Vega to face FaZe at 1:00PM EST. Matches conclude for the day around 7:00PM when Astralis plays North. Based on those results, Round 3 matches will kick-off on Sunday starting around 10:00AM. You can watch all of them right here. Team Liquid play TSM today at 5:00PM EST to kick things off with matches concluding at 9:00PM when Counter Logic Gaming takes on Cloud9. On Sunday, matches resume again at 5:00PM with OpTic Gaming vs. Team Liquid and conclude with Echo Fox vs. Clutch Gaming. You can find all the matches streaming live here. OWL’s second week comes to a close today starting in the afternoon with Los Angeles Valiant vs. London Spitfire at 2:00PM EST. Los Angeles Gladiators follow with a match against New York Excelsior at 4:00PM and finally Boston Uprising takes on San Franscisco Shock to close out the day. You can stream all of those matches streaming here. Ahead of the year’s first Valve Major, Galaxy Battles takes place this weekend with $500,000 on the line for the eight teams battling it out there. Currently Evil Geniuses finds itself sitting pretty in the winners’ bracket grand finals while five of the other teams still left crawl through the losers’. OG play TNC Pro at 8:30PM EST tonight, followed by Team Spirit vs. Pain Gaming at 10:00PM. Then VGJ.Thunder await the eventual winner for losers’ finals at 1:00AM on Sunday. The grand finals for the entire tournament will then get underway at 3:00AM later that morning. Those games will be streaming here. Elsewhere in the fighting game world, Frost Faustings will see tournaments in Tekken 7, Street Fighter V, and Guilty Gear Xrd Rev 2. Of course, Marvel Vs. Capcom: Infinite and a number of other games will be there as well, with play running throughout today and concluding with top 8s for the big stuff later tonight. You can find a full breakdown of the schedule here with matches streaming here. While Smash Bros. will be at Faustings, the big spotlight will be on Genesis 5, featuring Melee, Smash 4, and Smash 64. Play for the event goes through today and into tomorrow with all of Sunday devoted to top 8s starting with Smash 64 at 1:00PM EST. Smash 4 follows at 4:00PM followed by Melee at 10:00PM. 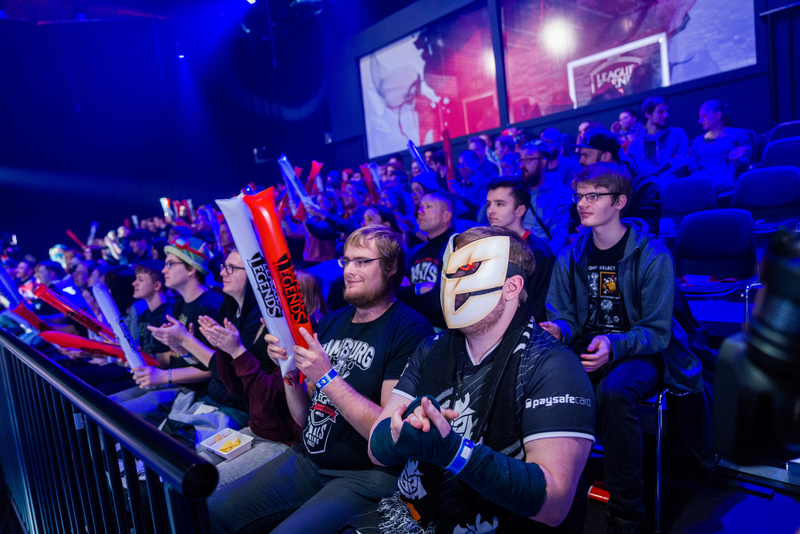 You can see all of the major matches streaming live here. In addition to League of Legends, Heroes of the Storm finally returns this weekend as well. SpaceStation kicks things off against Simplicity at 5:00PM EST later today, with matches on both Sunday and today taking place then and at 7:00PM. You can check the full schedule and standings here with matches here. The Witcher card game’s third Open of the season is this weekend. The $25,000 tournament wraps up Sunday in the early afternoon with both semifinals followed by the grand finals. You can watch what remains of the event right here.